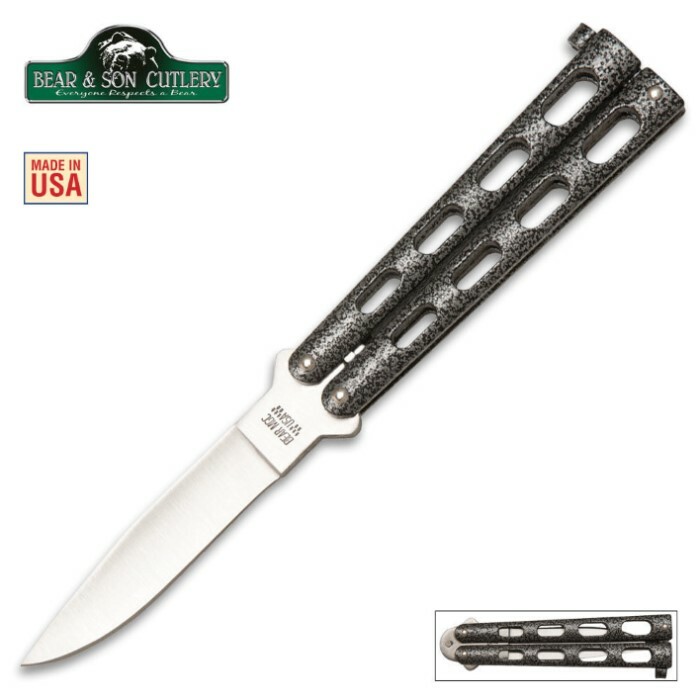 Top-quality butterfly knife from Bear & Son Cutlery. Made right in the USA, this butterfly knife features a 4" hollow ground high carbon stainless steel blade that is hand sharpened. The epoxy powder-coated handles provide a comfortable, secure grip. 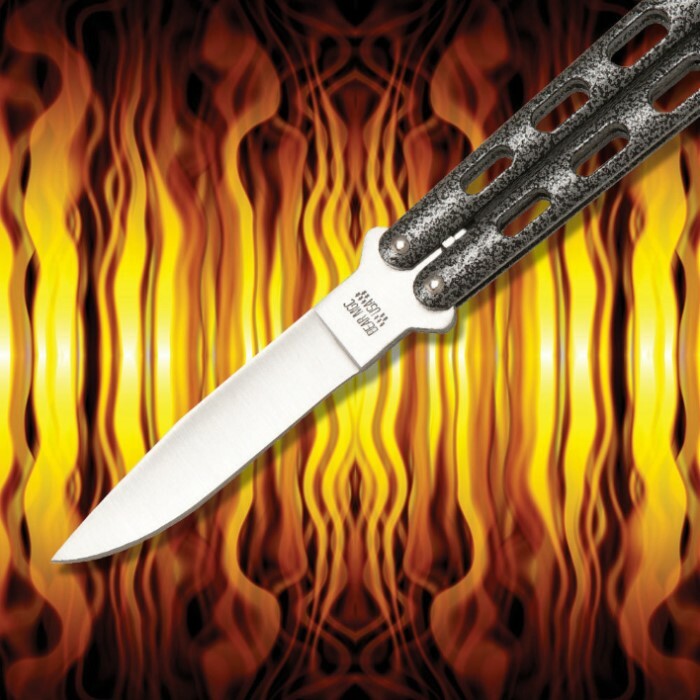 You can't beat the quality of this American-made butterfly knife. This is a decent knife. Great knife! Exactly the same as my monarch butterfly knife from 20 yrs ago. Very sharp and great size and quality for my needs. This is my dad's knife. When it first arrived it was very stiff and there was oil all around the blade. He gave it too me to let it loosen up a bit. After a while it was a little loose and it was great and had a great sound when I shut it quickly, overall it is a great knife. This knife Is amazing. It did come a little dual but then again it is a butterfly knife so you don't really want it like a razor blade other than that the knife is great. Its a good knife its fun to play with and it did come a little dull, but i don't suggest sharpening it til you play around with it a bit and loosen it up. other then that i think its fantastic. This knife is a little short, but is a fantastic knife for any occasion! My only complaint is, that it comes a bit dull. After a little sharpening, this knife is amazing!